Mash mixers (sometimes refered to as mash kettles) are generally where the initial brewing activity occurs. The varying types of milled grains (typically malted barley and supplementary grains that make up the "grain bill") are soaked in warm water to extract their natural colors, flavors and sugars. This steeping process defines the act of brewing. Mashing allows the enzymes in the malt to break down the starch in the grain into sugars, typically maltose to create malty liquid called wort. There are two main methods – infusion mashing, in which the grains are heated in one vessel; and decoction mashing, in which a proportion of the grains are boiled and then returned to the mash, raising the temperature. Mashing involves pauses at certain temperatures, and takes place in a "mash mixer", an insulated brewing vessel with an agitator for mixing. The end product of mashing is called a "mash". Mashing times can vary depending on raw material and brewing style. During this time the various temperature rests activate different enzymes depending upon the type of malt being used, its modification level, and the intention of the brewer. 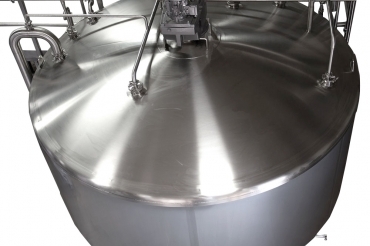 • Mash Kettles are always sized to match the brewhouse, so Sprinkman provides Mash Mixers up to 100-BBL in size. 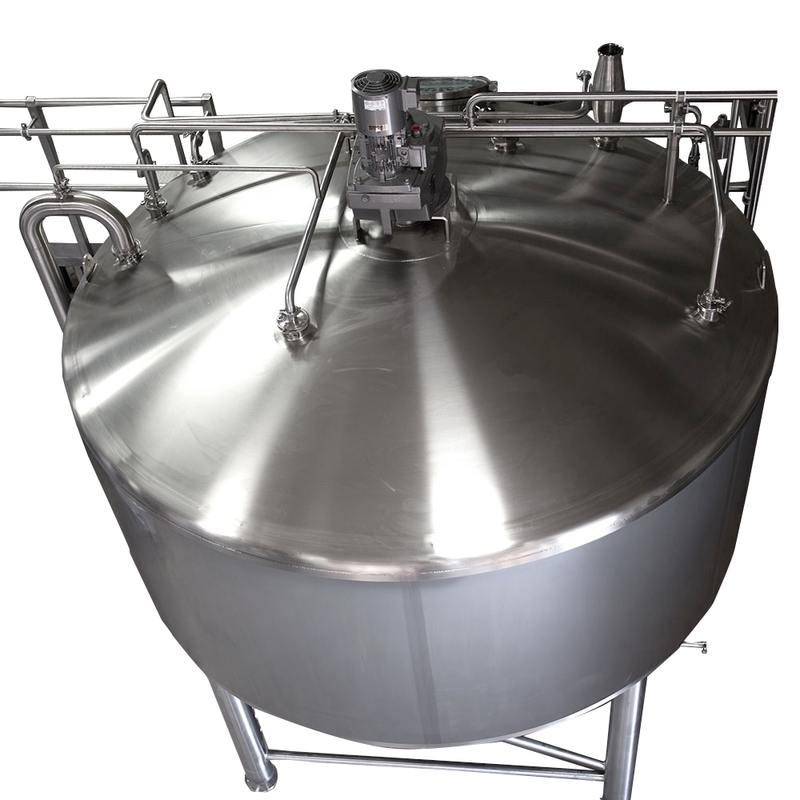 • Sprinkman leverages our experience in other industries, like food and dairy, to develop a low-shear, high mixing agitator that gives the mash a complete and thorough mix.